Integrating UX design within Agile is an important topic and several good articles and guides mentioning different approaches are available on internet. Many individuals and organizations are taking guidance from them. Some of them state that it is better to run a separate design sprint along with development sprint. And this design sprint should go ahead of development sprint. Few are in opinion of running a design sprint parallel with development sprint. And few others are in favor of an integrated sprint where UX designers, developers and testers work together as a scrum team. This article mainly focuses on the last approach that works really well in many aspects. However, there are few challenges a UX designer face while working in an integrated scrum team. This article lists these challenges along with few recommendations that can help to overcome these challenges. A scrum team has 3 roles: Team members, Scrum Master, , Product Owner. There is no restriction on number of these individuals in a team. An ideal scrum team contains 7–9 members, however this can vary depending on requirements. Usually a scrum team has 1 tester, 1 UX designer and multiple developers. The scrum team is a self organized team and is responsible for completing the tasks they picked up in a sprint. Scrum Master is the person who looks after the team and shelters it from external interruptions. He is the scrum coach, and facilitates the team to focus on their goal within a sprint. Product Owner is the person who gives direction to the team towards right goal. He takes care of product backlog and its prioritization, user stories grooming and sprint start/end. He is available for his team to answer their queries. A product owner holds the product vision and its business value in industry and conveys this vision to the team through product backlog. He represents the customer for his team. Scrum has certain events that need to follow including grooming sessions, planning meetings, daily standups, sprint reviews and retrospectives. All team members including product owner participate in these events. An integrated scrum team works comparatively much better in scrum model. Being part of a scrum team, developers, testers and UX designers work together. In this approach, it is important to keep UX work ahead of development so that things do not get delayed in a sprint. This makes the role of UX designer very critical. He has to provide required UI artifacts to team before they start implementing the UI. Within team, developers can easily approach UX person and ask him about any missing part of design. UX person can review the implemented work at run time and any suggested changes are easier to incorporate in implementation. Tester can communicate UX designer about the designed UI and write effective test cases by referring the design work. He can test the implementation and convey his concerns to developers and UX designer at the same time. Hence a scrum team sitting at one place works to improve product quality with better communication between UX person, tester and developers. A technique for better collaboration in scrum model is community of practice (COP), which is a platform to share knowledge and define guidelines related to a common interest. UX COP helps all UX designers to maintain a consistent design standards among all teams. The role of UX designer is very critical in a scrum team. He is the person who should have clear understanding of product vision and its requirements. He works closely with product owner and users to understand requirements and grooming of user stories. He defines use cases, and starts design work by involving required stakeholders including product owner and members of his scrum team. It is important to empower the role of UX designer so that he can make sure the desired implementation of the designed features. UX designer should also take ownership of design work and provide all required artifacts and specs to development by following the defined standards. 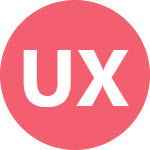 UX person is part of UX COP which works likes a virtual group where all UX designers collaborate regularly and share information, improve their skills, define and review standards and guidelines, and ensure consistent design work among all scrum teams. It is the responsibility of UX person to consult with UX COP for necessary coordination and help. Being a single member from UX group, UX designer in a scrum team sometimes starts getting influenced by other team members. And if the UX designer is a junior member of the team, then it makes difficult for him to stand for his design opinions. A list of such challenges that a UX designer face in a scrum team are listed below. In later section, few recommendations are provided to overcome these challenges. A scrum team mostly contains developers and most of the time Scrum Master is also from development team. These senior developers sometimes try to influence the design created by UX person. They are in majority and can enforce their developer-oriented approach in design work. UX designers lacks technical knowledge of the product. He is not much aware of the technology being used to implement the product. A developer can easily state that the designed layout is not supported due to technical limitations. The UX person starts looking for other options to design the same feature, and this can sometimes results in a compromise on the user experience. The UX person is part of scrum team. He sits, works, eats along with team members. It is a challenge for him to build good relations within team as well as force them to implement the defined experience. A good relationship sometimes makes his job easier, and sometimes it makes difficult for him to convince other members. Since scrum team mostly contains developers, they don’t have much understanding of user experience and its importance in a product life cycle. That’s the reason that they don’t own UX member and his work. If UX member is working for more than one team, then this problem becomes even more severe. Though sharing of a member among multiple teams is highly discouraged in scrum model, but still this practice is being followed at various places. If a UX member is shared among multiple teams, it is difficult for each team to own his responsibility. Also, UX member does not fully participate in events of each team. This can increase the distance between UX member and his teams which results in delayed work and lack of trust. If design work and its implementation is done in the same sprint, then UX member needs to provide required UI artifacts to development early in the sprint, so that they can work on its implementation and testing. For new features, it is not possible for UX member to understand requirement, create design, get feedback, finalize options, prepare specs and coordinate with developers in the same sprint. He should be aware of all features and their need in the product. He needs to get clear understanding of product, its use cases and user flows. Only this way he can confidently present design work to his team and other stakeholders. UX member requires to learn UX skills that help him to produce good quality work. The training of a UX member is responsibility of other members of the UX group. Sometimes there are managers/lead roles in scrum model whose responsibility is to train people of a certain domain. For example, a UX lead takes care of UX members’ nourishment and growth. All UX members are part of UX COP. This is a virtual group where UX members meet and decide about standards and trends they follow in design tasks. They review the UI work being done within scrum teams and suggest possible improvements. Training of team members is also part of COP. UX member and developers need to have a good relationship. UX member should not be given the direction of UX work by developers, neither UX member should ask developers to implement anything without doing proper user research. The whole team needs to work together to improve the user experience of the product. If there are problems that UX member is facing while working on his tasks, then these should be resolved within team. It is responsibility of UX member to take part in team’s activities, and do not stay away since he has no idea of development. This will help him to know about technical limitations that a developer may encounter while implementing the UI. The purpose of sitting the whole team together is to learn from each other. Sharing a resource across multiple teams can affect productivity of the resource. Also, it may impact transparency which is a key rule of scrum. To make sure on-time delivery of design tasks within a sprint, it is an ideal approach to keep design work one sprint ahead. UX member needs to actively participate in grooming of user stories and definition of UI. UX designer can finalize layout and user flow one sprint before the actual sprint. Final design and specs can be prepared in the same sprint as development takes time to reach to final theme and design. From CEO to management, product owners, scrum masters and team members, all should learn the importance of user experience in a product’s life cycle and how it impacts their customers. This will help UX activities and members to attain a strong support from senior members in the organization. Scrum is a methodology that has proven itself best for software development. Different scrum leading names in industry have provided detailed rules and training for inspiration and guidance of organizations that help them to follow scrum model and build successful customer products. UX designer is an important role in scrum that should be empowered and facilitate to an extent where he can perform his best to provide intuitive user experiences to their products.